According to historians, it is believed that Langdale Hall of Valdosta State University was once the official insane asylum for Lowndes County,Ga. It was founded by Dr. Ezekiel F. Gould in 1872.It was said that the first floor of the residence hall was once the cafe and lobby, the second and third floor was housing for the mentally insane patients that cosisted upon patients with schizophrenia,bipolar,paraphilia,sleep-terror disorder,various anxiety disorders,and panic disorder,the fourth floor was for patients going through rehabilitation(though not many patients made it to this floor), and the fifth floor was for the nurses who resided at the asylum. A short distance from the asylum, what is now Patterson Hall,was the Lowndes County morgue. On average five patients died a day,which made it a convenience because the cemetery was only a few yards away. Journalists and reporters who once visited the asylum noted witnessing the patients being given unsafe psychoactive medication. The drugs appeared to have an unstabling effect on the patients and caused for them to lash out uncontrollably towards the doctors and nurses. The patients were given drugs that we know now to be LSD. The doctors did not know that this drug added on to the various psychological disturbances within the patients mind. To quickly correct the effect of the LSD on the patients the doctors administered the drug benzodiazepines which put them in a catatonic state. There was a patient named Harry Comer who suffered from anxiety and did not like for the asylum staff to come into his room. So he would lock his door and hold the lock when the staff came with a key to unlock it. As a "treatment" he was administered to two minutes of electric shock which resulted in him dying in his sleep several hours afterwards. Many patients who resided in the asylum was given this "treatment" at least twice a day. On one occasion a nurse gave a patient the usual dosage of the seditive to calm them from the effects of the LSD. 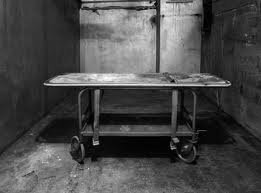 The dosage was not enough and the patient killed the nurse with a scapel hidden under their pillow,which caused for the asylum to be shut down soon after. 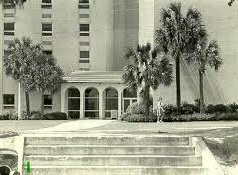 The building was re-established in 1906 when it was made into a residence hall for first year students to the Valdosta State Women's College. Many students would hear creaking and moaning in the halls at night. One student reported that they heard a woman screaming and wailing late one night while coming out of the showers. The school responded to that report saying that no such acts happened and that it was only students playing pranks on one another. Soon after the first report many other students also came forward and placed reports as well. One student reported that she was on her way back to her dorm and when she got there she went to unlock her door it would not unlock. She soon heard cries of someone yelling "Get away from my door, get away from my door!" 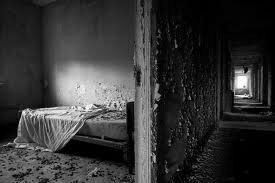 There was another account that a student saw the ghost of the murdered nurse floating in and out of rooms late at night to check beds. The student who witnessed stated that "she moved around as if she were still alive and doing her job." Ghost siting become less and less every year and the history of this school has barely reached the surface. If anyone knows anymore information please comment below. My friend showed me this when she lived in Langdale because it scared her, but it is one of the funniest things I have seen in a while! My favorite part is the average of FIVE patients dying a day! I lived on the fifth floor. Never had any problems. ...and benzodiazepines were not in use until the 60's. What a nice story. Too bad Converse hall, the FIRST AND ONLY building of the school until 1918, wasn't built until 1913. There wasn't an insane asylum, or cemetery. Next time check your facts. While there are ghost stories about the VSU campus- mostly about Pound Hall on North campus- none of the story here is true. Langdale was built in 1969, there was no insane asylum in Lowndes county (there is a psych ward @ the local hospital) and the morgue was located downtown- in what was later a movie theater. That are many ghost sightings associated with that building. Prior to 1906- the site was nothing but pines, with no buildings on it. And to top it off- LSD was first developed in 1938. But there is a graveyard close by- lovely spot and infamous for being a lover's lane for the younger kids with no cars.